Whether you’re headed to work or dressing up for a night out the Born Timmons will be the perfect finish to your outfit. 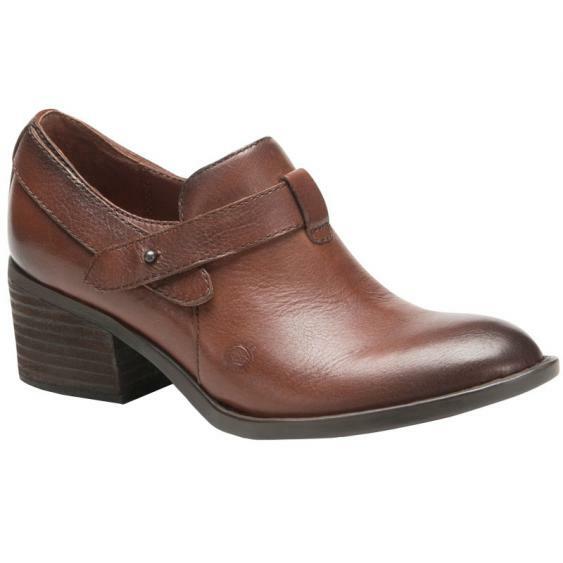 This women's shootie features a full grain leather upper, with strappy detail for added charm. The side zipper allows easy on/off. Inside, the vegetable leather lining provides a healthy and dry foot environment, while the steel shank provides midfoot support and lateral stability. The Opanka hand-crafted construction ensures a durable yet flexible hold, and the stacked heel provides a little height without shakiness. The rubber outsole ensures traction on a variety of different surfaces. Charming and versatile, the Born Timmons is a great addition to year-round outfits. Just what I've been looking for -- dark brown and leather! Can't go wrong with Born. I did size up a half size to give me room for thicker socks if I needed them in winter.